Previously we told you about a 50 cent per gallon tax credit. That credit expired December 31, 2014. However, the PATH Act of 2015 (Protecting Americans from Tax Hikes) signed by President Obama makes retroactive to January 1, 2015 the 50 cent per gallon alternative fuel tax credit and alternative fuel mixture tax credit. It also extends the credit for 2016 but at a reduced rate. This credit is commonly applicable for taxpayers who use propane or liquefied petroleum gas to fuel vehicles not required to be registered for highway use, e.g. 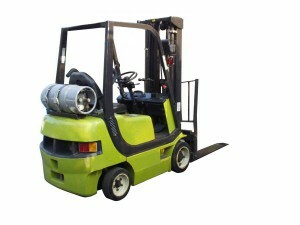 forklifts. If you aren’t familiar with this 504 credit, below is a recap of how the credit works.